Charles Lawson Fenton, 817985 was from Hillsborough, Albert Co., New Brunswick and was born September 3, 1893. He was the son of Lawson Fenton and Ruth Fenton of Edgett's Landing, New Brunswick. He enlisted with the 140th Battalion on March 22, 1916. His occupation was listed as quarryman. He served overseas with Princess Patricia's Canadian Light Infantry (Eastern Ontario Regt.). He died as a result of wounds April 12, 1917 at Vimy Ridge, France. He is buried at LAPUGNOY MILITARY CEMETERY, Pas de Calais, France. He is listed on page 236 of Canada's Book of Remembrance. The Victoria Cross (VC), instituted in 1856 by Queen Victoria, is the Commonwealth’s highest military decoration for valour. It is awarded in recognition of the most exceptional bravery displayed in the presence of the enemy, although in rare instances the decoration has been given to mark other courageous acts. Since its inception during the Crimean War, the VC has been awarded 1,356 times, 300 of them posthumously. Depending on which of a variety of sources is cited and on the selection criteria applied, somewhere between 94 and 98 Victoria Crosses have been awarded to Canadians or to others serving with the Canadian Forces. A distinctly Canadian version of the medal was introduced in 1993. To date no one has been awarded the Canadian medal. Cyrus Wesley Peck was born in Hopewell Hill, New Brunswick, on April 26, 1871, and was educated at Hopewell Hill Superior School. In June 1887, at the age of 16, he and his family moved to New Westminster, British Columbia, then later to Skeena, BC. As a young man, he pioneered in the Klondike, and set himself up as a broker in salmon canning, sawmills and towing operations. He was also an elected Unionist Member of Parliament for the Skeena riding. As a member of the militia, Peck was given a captain's commission and attached to the 30th Battalion, with which he sailed to England. In April 1915, he was promoted to major and later transferred to the 16th Battalion, Canadian Scottish. He was wounded in both legs during fighting around the town of Festubert, France, May 21, 1915. In January 1916, he was given command of the regiment. In addition to the Victoria Cross, he was awarded the Distinguished Service Order (DSO) twice and Mentioned in Dispatches five times. In 1917, while he was overseas, he was elected to the House of Commons as the Member of Parliament for Skeena in British Columbia. VC Citation: Lieutenant-Colonel Peck was awarded the Victoria Cross for his courageous leadership on September 2, 1918, during the fighting for the Drocourt-Quéant Line, near Cagnicourt in France. Post War: At the end of the war, Peck returned home to Skeena, and reclaimed his seat in the House of Commons, being active in veterans' rights issues. In 1924, he became a Legislative Member for British Columbia. He later acted as aide-decamp for two of Canada's Governors General. Peck died in Sydney, British Columbia on September 27, 1956. Gravesite: He is buried in the New Westminster Crematorium in Vancouver, BC. 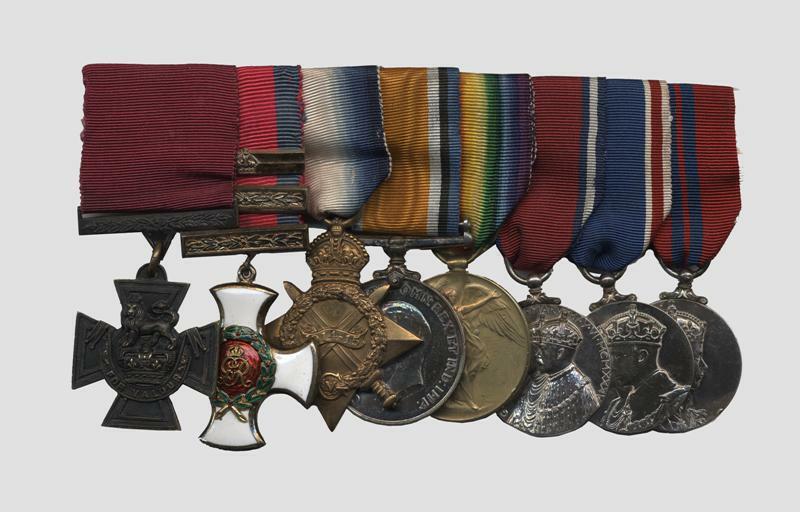 Medal Location: His Victoria Cross is held at the Canadian War Museum in Ottawa, Ontario. Post Script: As the Canadian Corps moved against the Drocourt-Quéant defensive line from 1 to 4 September 1918, six other VCs were awarded to Canadians in addition to that of Lieutenant-Colonel Peck. They were Captain Bellenden Seymour Hutcheson, Sergeant Arthur George Knight, Lance- Corporal William Henry Metcalf and Privates Claude Joseph Patrick Nunney, Walter Leigh Rayfield and John Francis Young. Peck is reputedly the only Member of Parliament in the British Empire/Commonwealth to have been awarded the Victoria Cross while in office. This Article was taken Verbatim from Fact Sheet # 67 Published by: The Friends of the Canadian War Museum and was written by Captain (N) (Ret’d) M. Braham, CD. The original article can be found here. Please Support the Victory Cannon Campaign. You can donate on-line by clicking here.